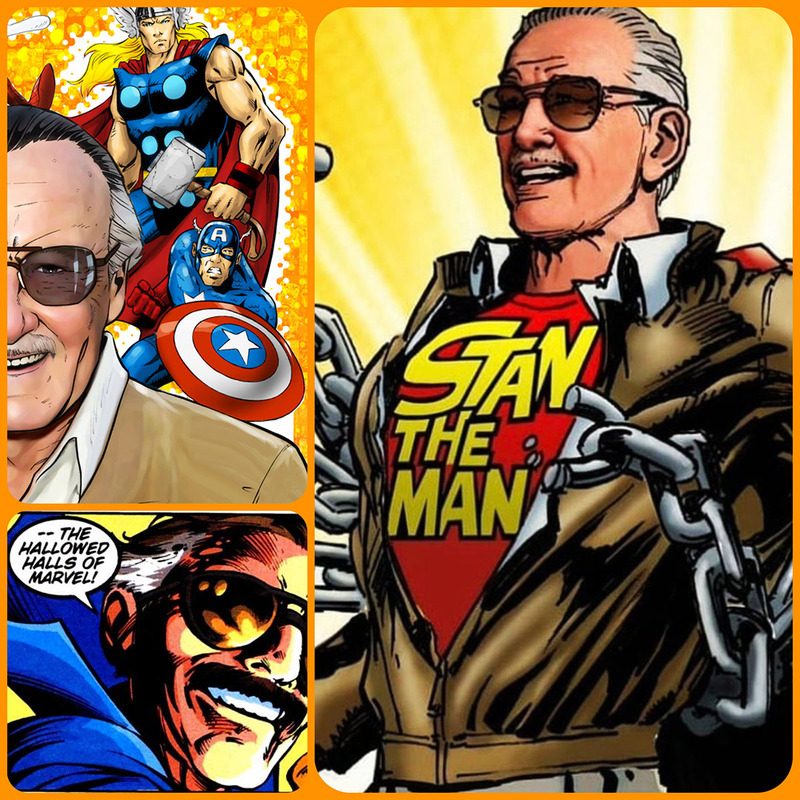 MARVELlous Stan Lee was born December 28, 1922 and left us November 12, 2018, is an American comic book writer, editor, and publisher who was active from the 1940s to the 2010s. 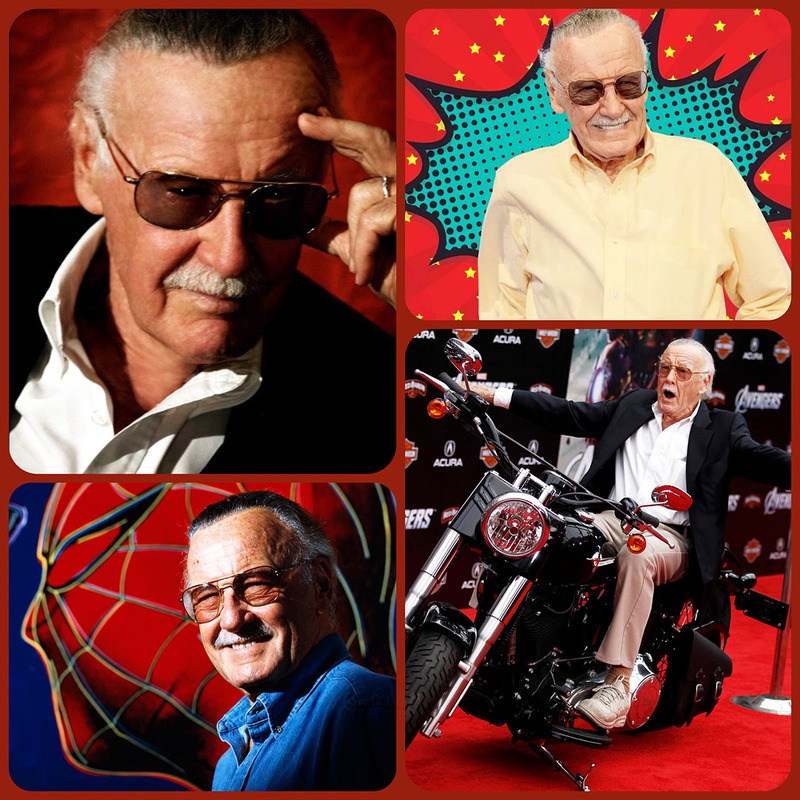 He rose through the ranks of a family-run business to become Marvel Comics’ primary creative leader for two decades, leading its expansion from a small division of a publishing house to a multimedia corporation that dominated the comics and superhero industry. 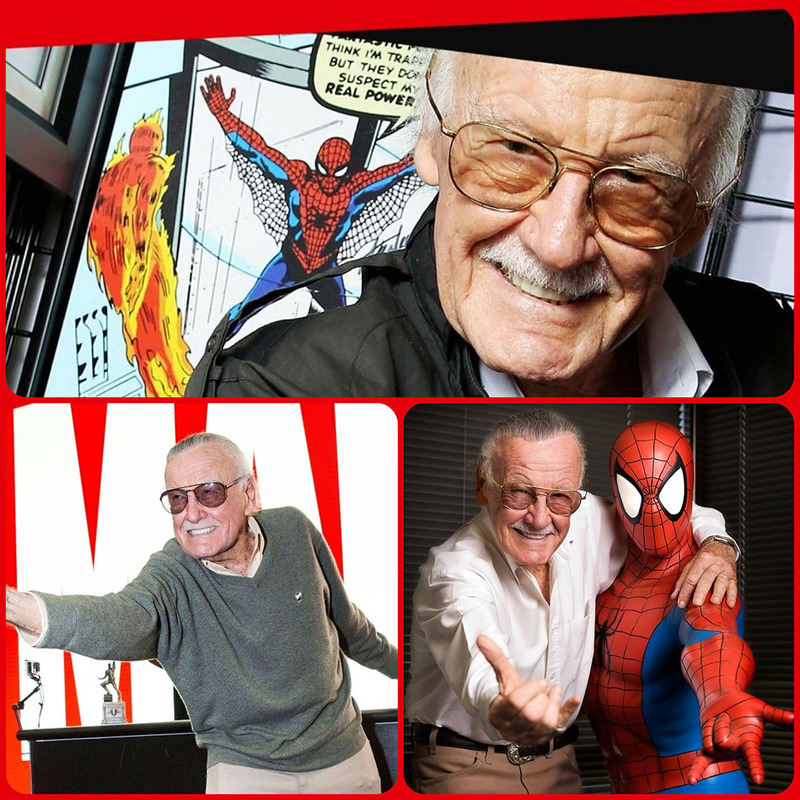 In collaboration with others at Marvel—particularly co-writer/artists Jack Kirby and Steve Ditko—he co-created numerous popular fictional characters, including superheroes Spider-Man, the X-Men, Iron Man, Thor, the Hulk, the Fantastic Four, Black Panther, Daredevil, Doctor Strange, and Ant-Man. In doing so, he pioneered a more naturalistic approach to writing superhero comics in the 1960s, and in the 1970s he challenged the restrictions of the Comics Code Authority, indirectly leading to changes in its policies. 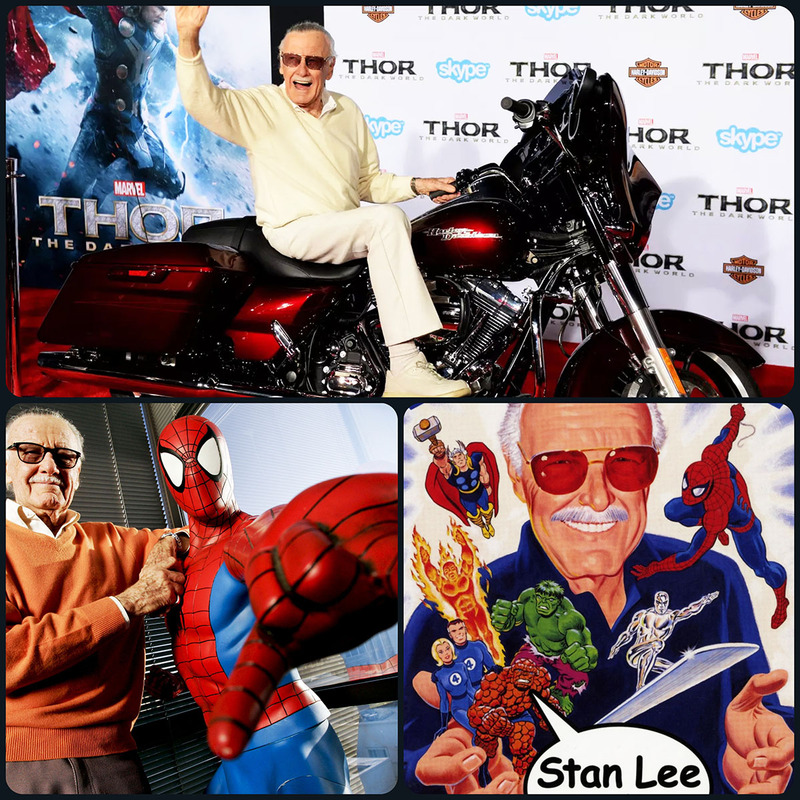 In the 1980s he pursued development of Marvel properties in other media, with mixed results. 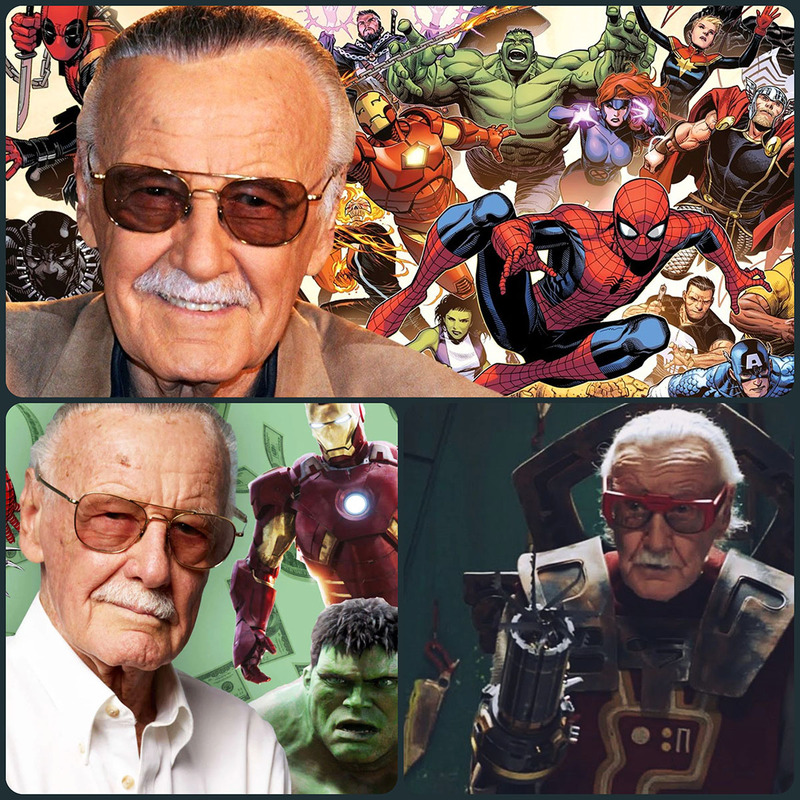 Following his retirement from Marvel in the 1990s, he remained a public figurehead for the company, and frequently made cameo appearances in films based on Marvel characters, on which he received an honorary “executive producer” credit. Meanwhile, he continued independent creative ventures into his 90s, until recently. 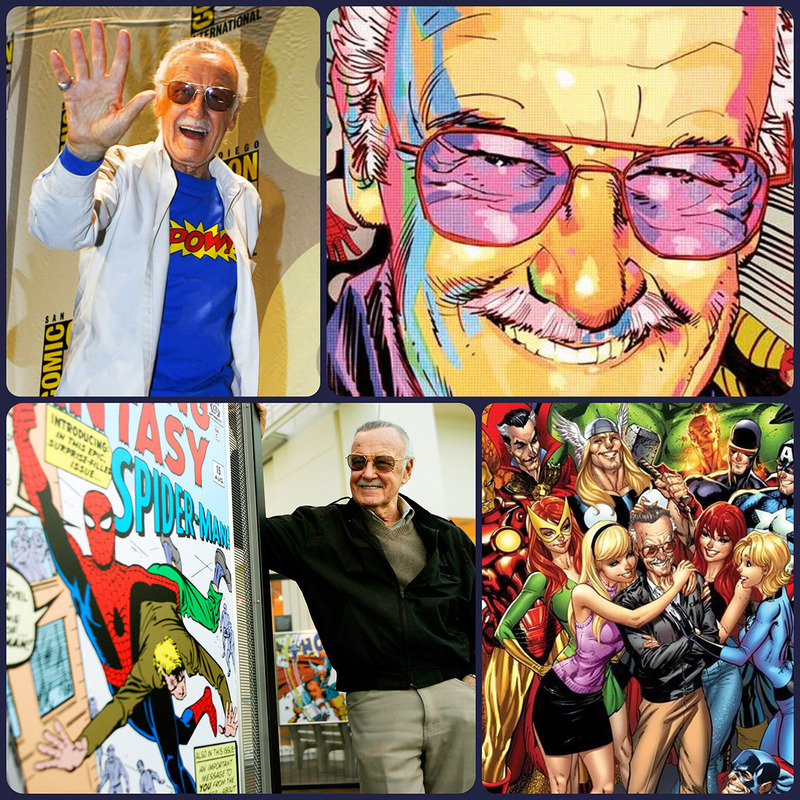 Stan Lee Interview : “I grew up in New York City during the Depression. My earliest recollections were of my parents talking about what they would do if they didn’t have the rent money. Luckily, we were never evicted. But my father was unemployed most of the time. He had been a dress cutter, and during the Depression, there wasn’t much need for dress cutters. So I started working when I was still in high school. I was an office boy, I was an usher, I wrote obituaries for celebrities while they were still alive. Lots of jobs. My mother was the greatest mother in the world. She thought I was the greatest thing on two feet. I’d come home with a little composition I had written at school and she’d look at it and say, “It’s wonderful! You’re another Shakespeare!” I always assumed I could do anything. It really is amazing how much that has to do with your attitude. By the time I got the job, Superman had been created. We had the Human Torch, the Sub-Mariner, Father Time, Hurricane. The most important thing in those days was the cover. All these books were on the newsstand, and you had to hope your cover would compel somebody to buy the book. And everything depended on the name. A character like Hurricane was a guy who ran very fast. Later on, when I was looking for new superheroes, it occurred to me that somebody crawling on walls would be interesting. I thought, Mosquito Man? It didn’t sound very glamorous. Fly Man? I went down the list and came to Spider-Man. That was it. Martin was one of the great imitators of all time. If he found that a company had Western magazines that were selling, he would say, “Stan, come up with some Westerns.” Horror stories, war stories, crime stories, whatever. Whatever other people were selling, we would do the same thing. I would have liked to come up with my own stuff, but I was getting paid. After about 20 years on the job, I said to my wife, “I don’t think I’m getting anywhere. I think I’d like to quit.” She gave me the best piece of advice in the world. She said, “Why not write one book the way you’d like to, instead of the way Martin wants you to? Get it out of your system. The worst thing that will happen is he’ll fire you — but you want to quit anyway.” At the time, DC Comics had a book called The Justice League, about a group of superheroes, that was selling very well. So in 1961 we did The Fantastic Four. I tried to make the characters different in the sense that they had real emotions and problems. And it caught on. After that, Martin asked me to come up with some other superheroes. That’s when I did the X-Men and The Hulk. And we stopped being a company that imitated. Martin was good at what he did and made a lot of money, but he wasn’t ambitious. He wanted things to stay the way they were. He hired a good friend of his to be his business manager, and they would spend two or three hours a day in Martin’s office playing Scrabble. I didn’t understand it. I was always frustrated. In the late ’60s, Martin sold the company to an outfit called Perfect Film and Chemical. Everything changed. Martin had hoped that his son Chip would become publisher; instead, the new owners made me publisher. Later, they made me the president and even chairman. But I was never a businessman. I remember when the board asked me to come up with a three-year plan for the company. I said, “Guys, I don’t know how to predict where we’ll be in three years. I don’t even know what I’m going to have for breakfast tomorrow.” I resigned as president after about a year. I mean, I can add and subtract, but I hate to read sheets of numbers. I like to write stories. All of the characters at Marvel were my ideas, but the ideas meant nothing unless I had somebody who could illustrate it. For Spider-Man, I called Jack Kirby, and he did a few pages that weren’t right. Jack drew everything so heroically, and I wanted Peter Parker to look more like an average, schlumpy kid. So I got Steve Ditko to do it. Whenever I would discuss the strip, I would say that Steve Ditko and I created Spider-Man. I certainly don’t own the Marvel characters. I’ve never owned them. If I did, I’d be too wealthy to be talking to you. New World Pictures bought Marvel in 1986. At last, we were owned by a big, rich company. But everybody was nervous. I was invited to a meeting of the New World executives. I figured I was going to be fired. 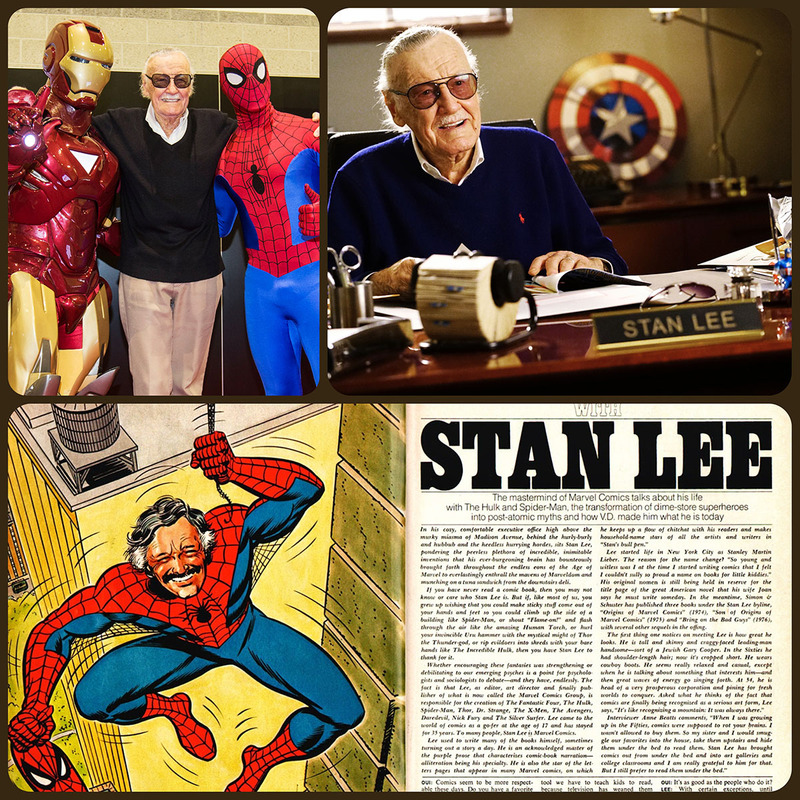 I’ll never forget: I walked in to the boardroom, maybe a dozen people sitting around the table, and the first thing one of the executives said was, “Stan, would you mind autographing some of these comic books?” So I figured that was a good start. Ron Perelman got the company in 1989. But at a certain point, Marvel was forced into bankruptcy. They let everybody go. I don’t like to be idle, so I moved on to Stan Lee Media. We started out doing well. We were doing a lot of different projects. Everybody was coming to us. I had no idea there were problems, but one day there was a meeting called of the executives and I was told that we had to close down, because we couldn’t meet payroll. When Stan Lee Media went bankrupt, we decided to form another company, POW! Entertainment. It’s been a lot of fun. A couple of years ago, we made a first-look deal with Disney, where anything I create I have to show them first. If they don’t want it, I’m free to take it elsewhere. We’re doing a couple of television things, and we have a couple of deals with other film companies and some publishing companies. My name does open doors. The most important thing in Hollywood is to get people to take your calls. At least people take our calls. When I was a kid, Disney was one of my gods. I just loved movies like Snow White and Pinocchio. I remember telling Martin Goodman, “Our books and characters are so popular; if only we could do a movie…we could be another Disney!” He totally ignored it. I never dreamed that years later I would have a first-look deal with Disney. That in itself is so gratifying. And then, when Disney bought Marvel, it was almost like completing the circle. I just wish it had happened when I was active with Marvel.